Make security an executive directive - The driver for security needs to be at the CEO and or the Board of Directors. If they are the drivers the organization will respond accordingly. Implement clear security guidelines - Have a published security manual with specific policies, procedures, and statements of what will occur if someone does not follow the rules. 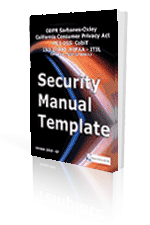 A formal Security Manual is a must. Provide specifics for security compliance - Do not use statements like "in general" without having specific example of what the individual needs to do. For example, if security badges are used there should be a statement or image of how the badge is worn. If the badge is not visible then it does not not meet the objectives of the seccurity compliance. Enforce that everyone follows the rules - If ID badges are require then everyone including the CIO and CEO need to use one. If a level of the organization does not use them then over time lower levels will stop using them. Provide formal training program - All new employees should go through this program as soon as they are hired and all existing employees need to have "at least" an annual review of the security guidelines and rules. The program can be written with a signed statement by the individual that states they have read the program and will comply with the enterprise's policies. Communicate Security - On an on-going basis communicate what security best practices all employees and associates need to follow. A company newsletter is a great place for security to be highlighted. Monitor security compliance - Validate that security rules and guidelines are being followed and make individuals and managers accountable for breaches. In many cases this can be done via software applications for electronic data files. 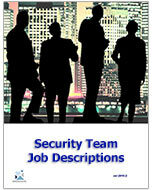 In other case, logs and security videos can be utilized. Establish security compliance metrics - Identify metrics that are meaningful to validate that compliance is occurring. Have metrics which show violations to the security guidelines as well as the total breadth and depth of the security process. Whenever a breach at another organization is made public, review what metrics are in place to identify the breach and mitigate it.